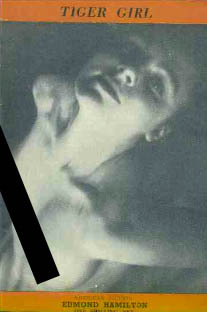 Place your $125.00 (USD) order for all three books and receive an exclusive facsimile of TIGER GIRL, a rare British pamphlet from 1945 published by Utopian Publications as #5 in their "American Fiction" series. This booklet collects: "Tiger Girl" (aka "The Six Sleepers") by Edmond Hamilton and "Apprentice Magician" by E. Hoffmann Price. Shipping is FREE to the Continental USA. 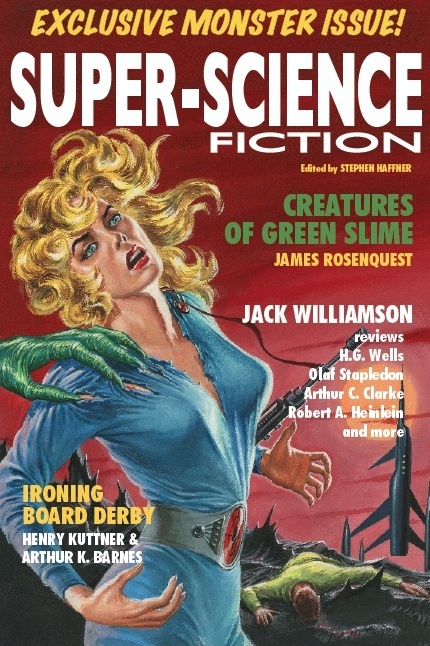 A massive collection of Space Opera stories culled from such pulps as Weird Tales, Astonishing Stories, Marvel Science Stories, Planet Stories, and Super Science Stories. Most reprinted for the first time! Cosmic humor abounds with these collaborations by Henry Kuttner & Arthur K. Barnes from Thrilling Wonder Stories. Journey to the future in the “Hollywood on the Moon” stories and travel back in time with hapless conman Pete Manx. Place your $117.00 (USD) order for all three books and receive an exclusive bonus chapbook SUPER-SCIENCE FICTION featuring rare texts and associated ephemera from many contributors to the above titles. Shipping is FREE to the Continental USA and we will ship the books as they are published with the chapbook accompanying the release of TALES OF SUPER-SCIENCE FICTION. Don't miss out on this opportunity to get your exclusive chapbook. Our signed, slipcased editions are limited to 100 pieces or less and include exclusive chapbooks not available anywhere else. The slipcase itself is finished in a cloth that matches the binding of the hardcover book. Click on the book covers at left to find out more about each of these deluxe titles. To see all of our Limited Edition offerings, click on "Autographed Editions" in the upper menu.